Recently, I was at a training with my network marketing company and heard success tips from one of our top income earners, Steve Thompson, who is a very successful veteran of our profession. 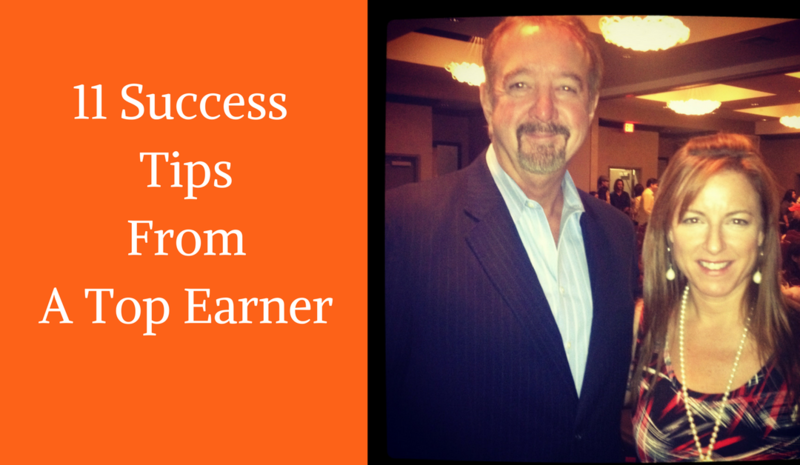 He had some great success tips I’d like to share with you today. Understand who should be getting group time vs. personal time. This was one of the first success tips he shared and it’s really critical to your success. But how do you decide who gets your time? -Work with those that are working and deserve your time, not NEED your time. (don’t know how many times I’ve done this one!). -Don’t work with people just because they JOIN, work with them if they’re working. Leaders will start to identify themselves by their actions and actions produce results. You want to reward those people on your team with your time that are working towards their goals. If you spend your time with those who are not working, you could miss out on the leaders who could actually be building their business inside of yours. True leaders don’t need you to “hold their hand”, they just need you to lead by example and show them the way. When their desire to reach their goals is strong enough, they’ll be in action, which will be a “win-win” for everyone. As you become a great speaker, other leaders may ask you to “tour” around and speak at their meetings. Go where you have team members and guests, don’t just go on a “non-paid” speaking tour because it feeds your ego. -This is one of the success tips I missed in the beginning. I became a great speaker and it was exciting, being invited to speak and have everyone tell you how great you are. But did this build my team? Absolutely not. After awhile I looked up and realized I had neglected to do the most important activity of all, which was PROSPECT for my own team. 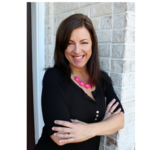 My team stopped growing and my income stalled…not good! 3. This is a business of rejection, you must get comfortable with it. -Out of every 2-3 that do look with him, 1 gets in. -For every 3 that get in, 1 will be looking for the exit as soon as they sign up. Why? Because people are just quitters sometimes by nature, don’t take it personally and don’t try to drag team members along. If they’re not ready to make money and build a business, it’s ok, they may “wake up” later. 4. Work – I mean really work when you schedule time to do your business. This success tips separates the top earners from the “hobbyists” in our profession because top earners are literally ruthless about their time management because they know that their time is the only thing they can’t get back. -Do revenue producing activities like connecting with prospects (leads) and exposing them to your business. -Block out all distractions – turn off Facebook and all social media, silence your phone and tell yourself you’re ONLY doing that activity right now. Try not to do it all in one day, it’s about consistency over time. Start with 15-30 minutes at a time so you don’t get burnt out. It’s a marathon, not a sprint. -Do the most important tasks first, NOT last. I’ve found if I save it for last, sometimes it doesn’t get done because something always comes up, then the day is gone. Some may not be quitters yet, but be careful, as stated in #1, of where to spend your time. In the beginning of my business, I would try to make everyone a “fast tracker”, when some just wanted to hang out and have fun. -Love your team members where they are and don’t try to make them into something they’re not yet. If you do, they’ll probably disappear and might even join another company where they feel more appreciated. -When they call, be happy to hear from them and ask them how THEY are doing, not about their business. You can probably see what they are or are not doing in their business in your back office, so no need to bring that up unless they do and are wanting help with it. -Keep them updated through group emails or posts of what’s happening, just in case they decide to get going again. Circumstances change in people’s lives and if you’ve built a relationship and they see that they are more than just a number or “step” in your ladder to success, they might stick around and go to work one day. -Create an atmosphere and culture of success, where those that are creating results get recognized. Studies have shown that most people will do more for recognition than they will for money, so celebrate the winners and you’ll get more winners. If a new team member doesn’t take a positive, revenue producing action in their first 72 hours, or 72 hours after a promotion, move on. This success tip doesn’t mean you don’t care about that new team member that joined, just watch what they do. Their actions, especially in the beginning will tell you how serious they are about their goals. If they’re not taking action, that just means they aren’t as committed to their “why” as much yet. Keep prospecting and looking for those who are ready to achieve their goals and will show you by getting some kind of results in their first 72 hours. -They’re calling YOU with questions (not you calling them every day). I always know someone is in action if they have questions. No questions=no action. -If someone promotes and immediately recruits a new person, reach out and work with them. If they start taking the “promotion walk and wave”, don’t waste your time there. Most beginners miss this because they sometimes think that successful people would not look at their business. However, successful people are more open than average, they know success, they’ve experienced it. They can recognize when something is a money maker and can leverage their time. If you’re worried about your own results in their eyes remember, you’re the messenger, not the message. It’s not about you, it’s about what your business could produce with their efforts, which could be pretty amazing since successful people know how to get things done. If you’re looking for more success tips on talking to leaders, read this article. You’ve probably heard this one before, but this is critical. -get a team under them and a check as fast as possible and they may keep going. -even a small “win” is important when someone gets started because it will build their belief in what they’re doing in their business. They will do what you do NOT what you say, EVEN if you’re not in the same geographical area. -if you start managing and stop recruiting, so will they. -always recognize team members accomplishments, even for the smallest activities to show the team is growing. 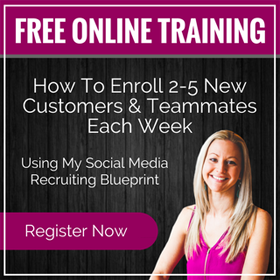 You should have at least 3 personal recruits and their teams that you are working with at any given time, because of the numbers rule in Secret #3. -as you’re working towards a promotion, find out who wants to be the one that helps you get there. Sometimes people will work harder to help someone else, rather than themselves. In our business, that still means they end up helping themselves, right? so everyone wins. Doing this will always serve you well, since our kind of business is about helping people. Did you enjoy these success tips from the top? Be sure to check out Steve’s book, Relationship Marketing, A View From the Top here if you’d like more top earner tips from him. Only Top Earners Make Money in Network Marketing?